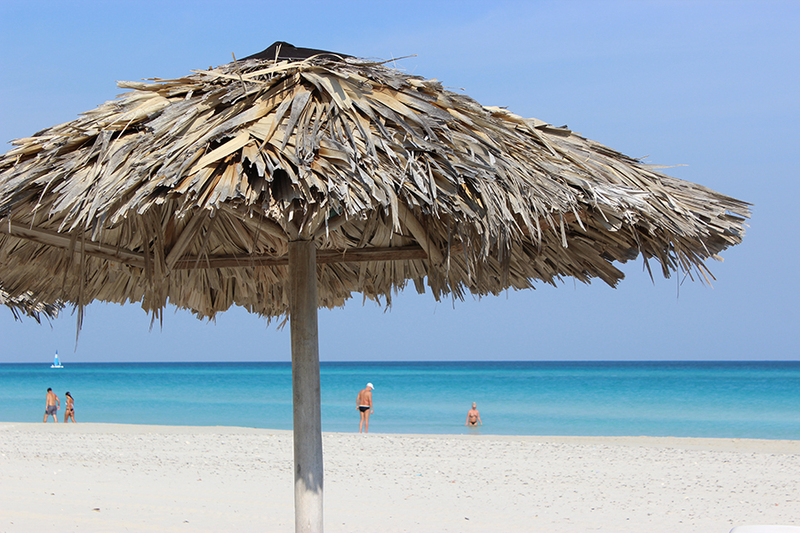 Varadero sits on Cuba’s northern shore, around 140 km east of Havana, on the Peninsula de Hicacos. Thanks to its impressive beaches, which stretch along a spit of land 20 km in length, it has become one of the largest resort areas not just in Cuba but in the entire Caribbean. That said, with so much to explore, which are the best place in Varadero Cuba to visit? Read on for our top picks! The blonde-coloured sands of the beach in Varadero are almost certainly its main draw, with water sports coming in a close second. Boasting more than 20 km of idyllic clean sand, with high palms on one side and the warm azure waters of the sea on the other, there’s plenty of beach for everyone without ever feeling cramped together. For the more actively-minded, water sports range from snorkelling to sailing and kayaking. Just don’t forget to enjoy a swim in these fantastic waters amid all the activities! Parque Josone acts as something of an oasis of calm right at the heart of Varadero, and should certainly be considered one of the best places in Varadero Cuba. Built in the 1940s before the country’s famed revolution, you’ll find a myriad of winding paths through the flower beds. A popular past time is to paddle across the small lake in a row boat before relaxing beneath the shade of the palms. There’s also a swimming pool at the south end of the park, and a restaurant, which once formed part of the residence of a local factory owner. Entering Saturno Cave really is like heading into another, alien, planet to our own, and as a result the cave rightly claims a spot in our list of best places in Varadero Cuba. Known as Cueva Saturno in Spanish, and close to Varadero’s airport, this cenote – or sink hole – makes for an incredible trip before you’ve even taken to its refreshingly cool waters. Natural rock formations line the edges of the cave like molten wax, with stalactites dropping down from the cave roof and stalagmites rising visibly through the clear waters. Bring a snorkel and mask to make the most of it! Bellamar Caves, meanwhile, lay claim to being the oldest tourist attraction anywhere in Cuba, having been discovered in 1861 when a local landowner’s ox cart disappeared into it. Stretching for two miles, it has another impressive collection of stalactites and stalagmites in six halls and 17 galleries. Many are also filled with otherworldly crystallised ‘domes’ that have taken on evocative names such as the Fountain of Love. Should you prefer a natural experience with life beneath the waves, then consider Cayo Piedra Underwater Park instead. Popular with both snorkellers and scuba divers, its one of the best places in Varadero Cuba to head beneath the waves. An artificial reef made up of deliberately sunk yachts, military vessels, and aircraft, it has become the adopted home of a number of colourful reef-loving fish species, as well as being regularly frequented by turtles and sharks. A playground for America’s rich and famous (including, so the legend says, Al Capone among others) before the revolution, Varadero is almost littered with long abandoned mansions. Many have now been converted into museums, and offer a unique chance to nosey around these fabulous structures. One such structure is Mansion Xanadu. Named after the fabled city, it was once the home of a wealthy American industrialist. Now a luxury hotel and golf course clubhouse, even non-guests are able to visit its marble and hardwood-clad spaces, including the spectacular sea views on offer from the second floor. There’s even some old furniture and photographs from how the mansion used to be. Located within a beach house dating back to the 1920s, the Museo de Varadero is also worth stopping by, not so much for its exhibits, but as an example of the architecture of the time, with fine wooden verandas and balconies around. Also known as the Reserva Ecologica Varahicacos, though small, this park is still worthy of being named one of the best places in Varadero Cuba. Situated on the eastern tip of the Hicacos Peninsula, it takes you back to a time before the area became the Caribbean’s largest resort. Here you’ll find endemic birds, lizards, and plants, including the 500 year old cactus called El Patriarca. There are also three different walking trails. The most interesting trail leads to the Cueva de Musulmanes (Cave of the Muslims), where human remains dating back 2500 years were discovered amid a number of cave paintings back in 1985. An incredibly diverse mix of attractions makes up our list of the best places in Varadero Cuba, and you’d probably expect nothing else in a country as rich in attractions as Cuba. 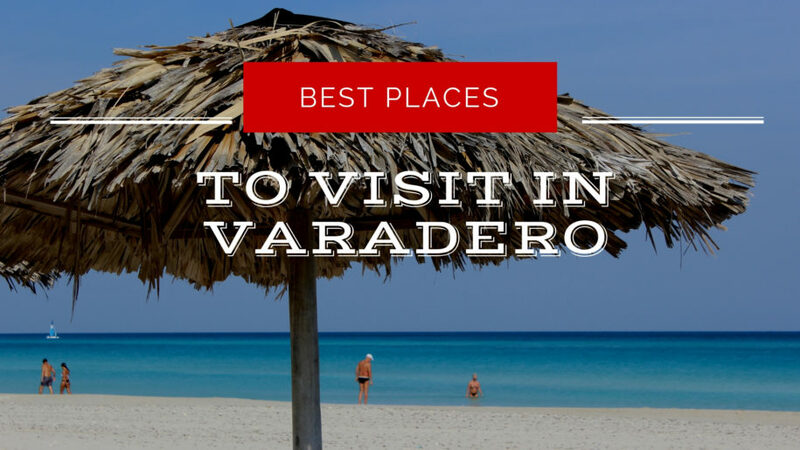 Whether its lounging on the beach to unwind, delving beneath the waves, investigating the region’s architectural history, or taking in its natural wonders, you’re sure to find an attraction for you in Varadero.